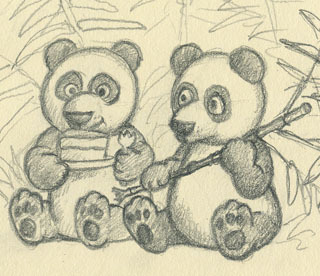 This panda sketch will not be there. :( Its a new work in progress that I haven't had time to finish but it will be available on Etsy when I'm done. Check my store in a week or 2.